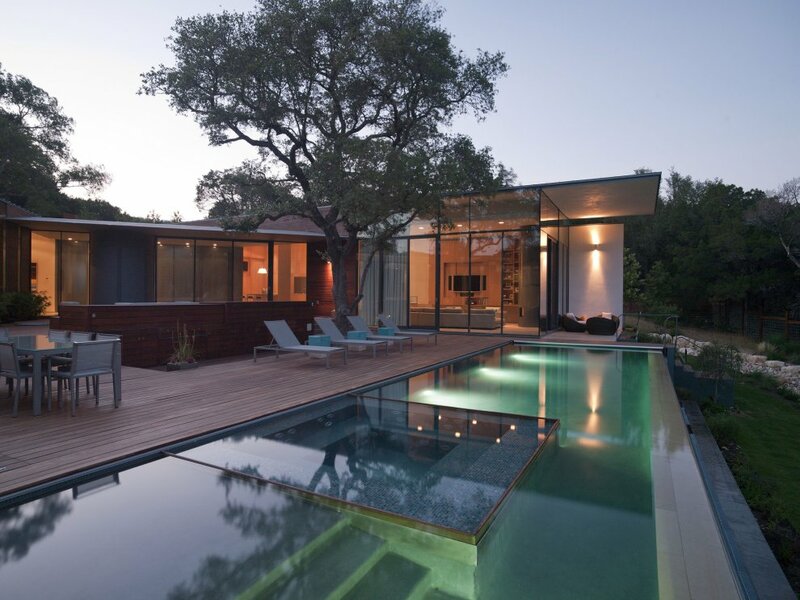 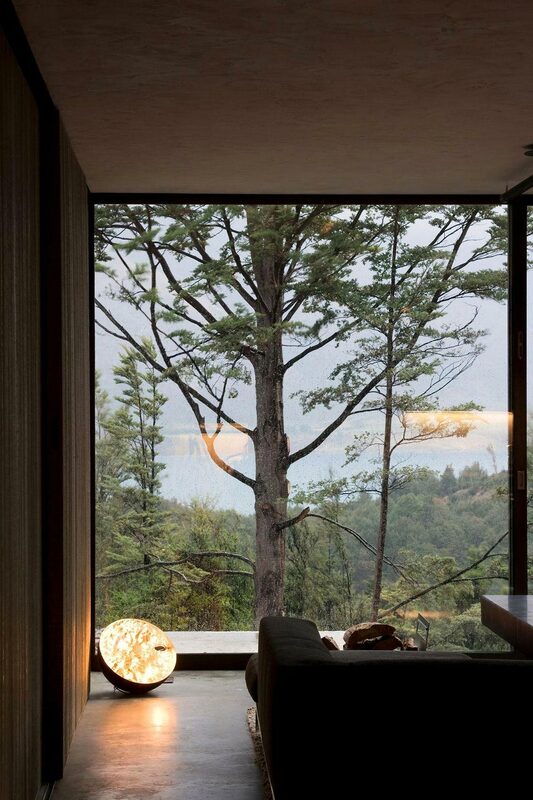 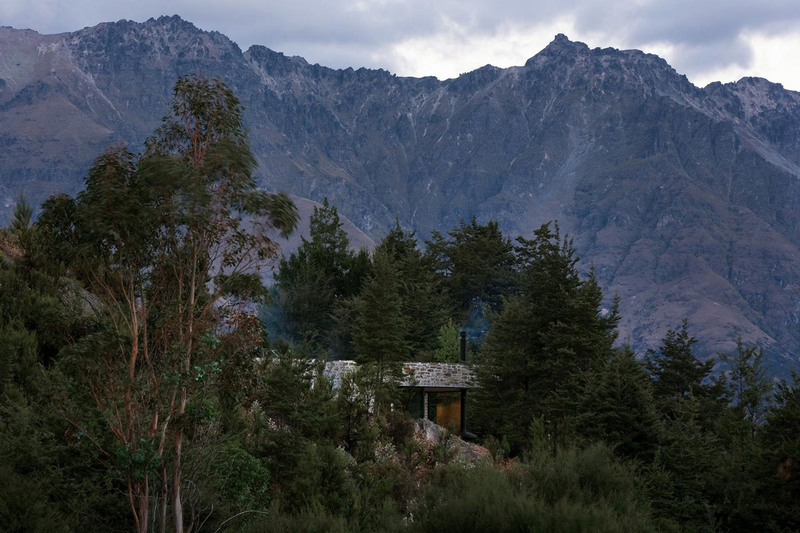 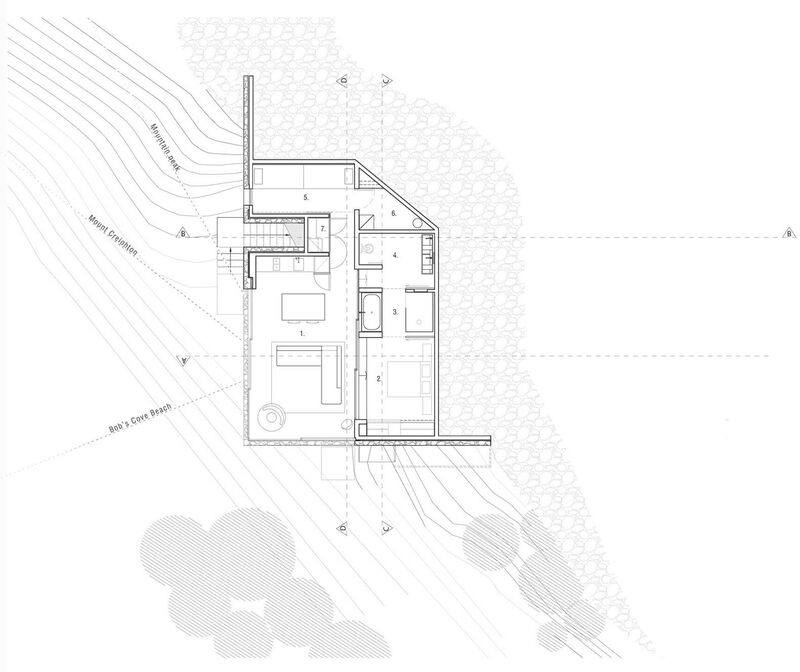 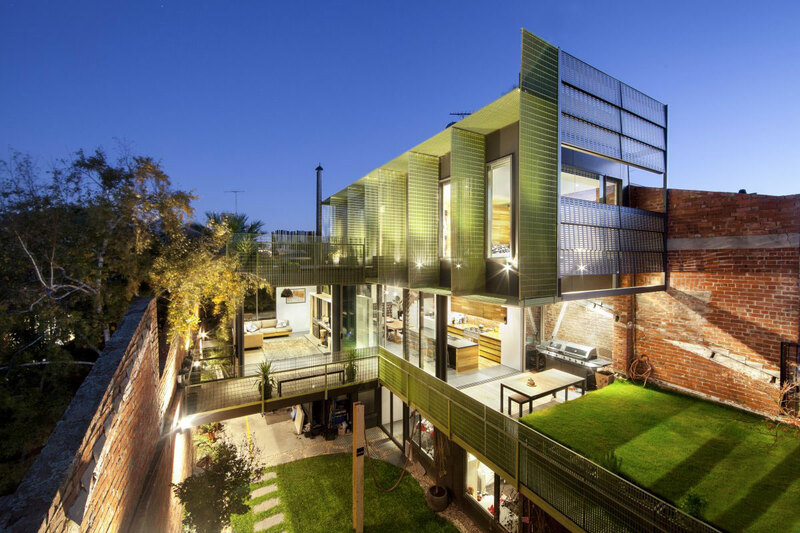 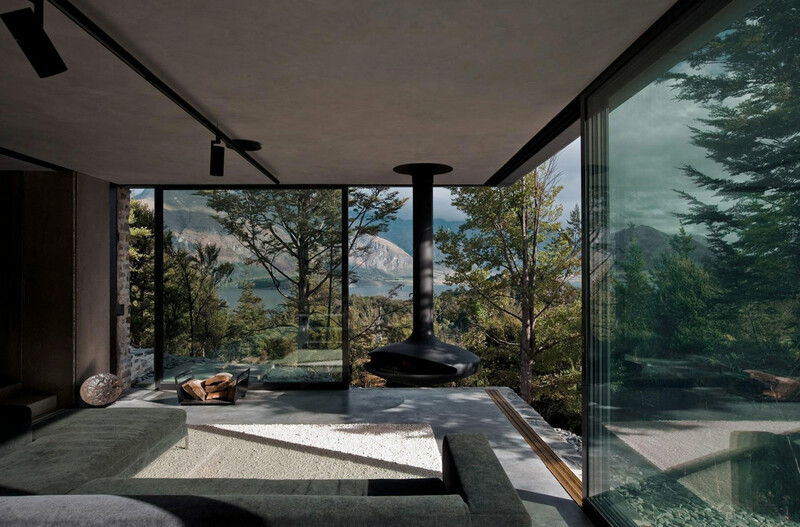 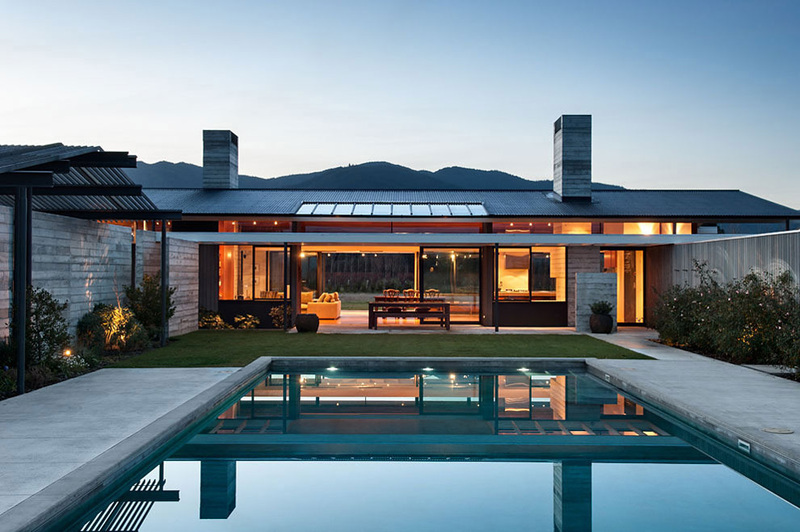 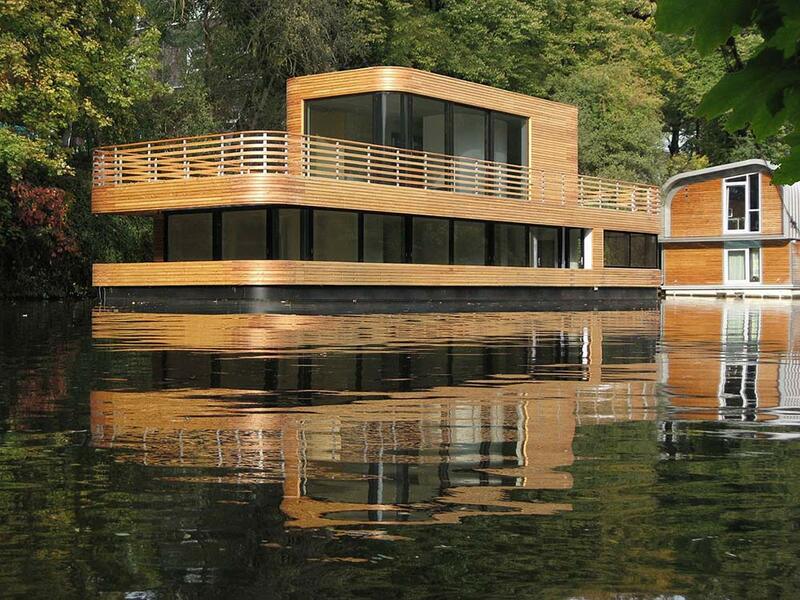 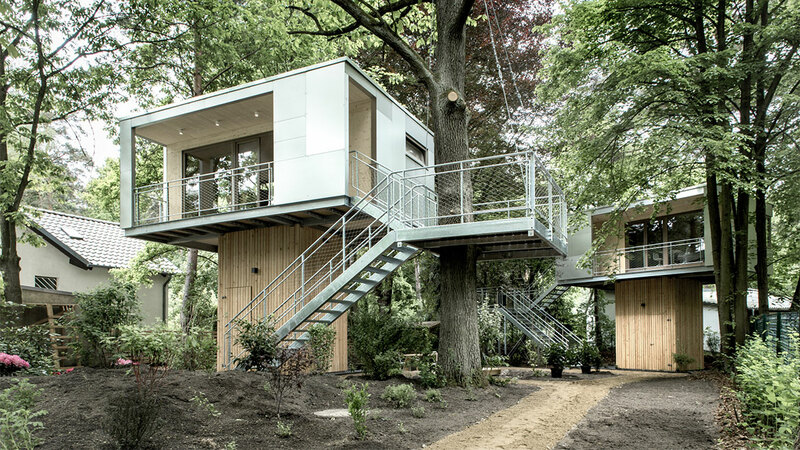 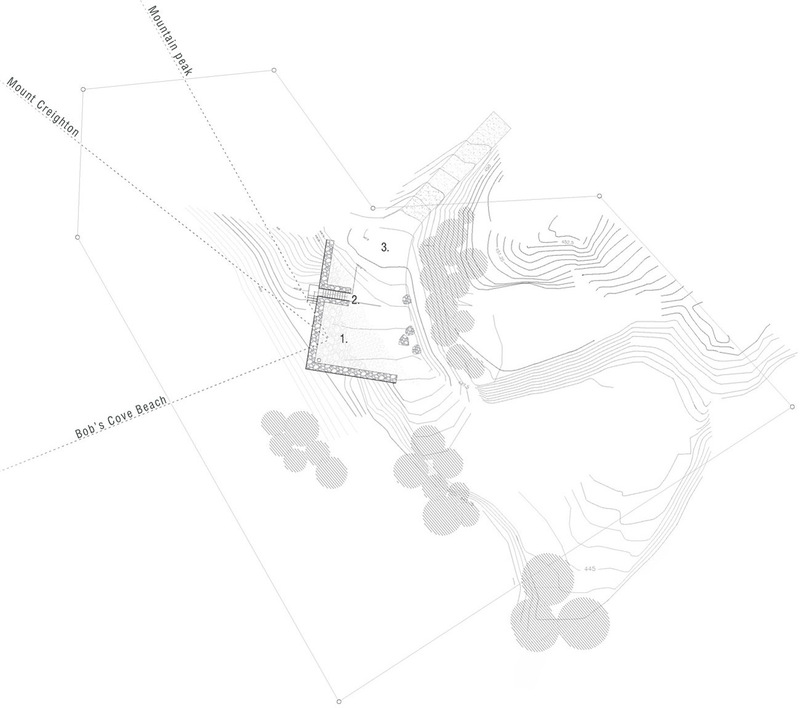 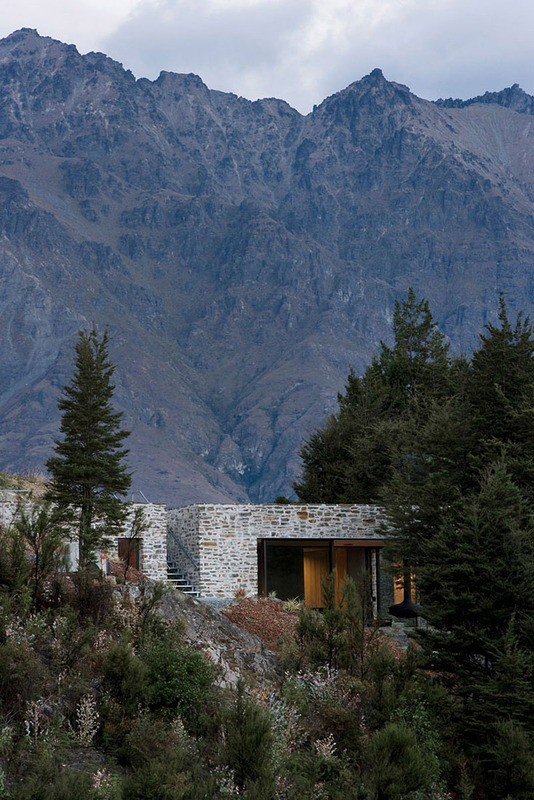 The Mountain Retreat was completed in 2008 by the Auckland based studio Fearon Hay Architects. 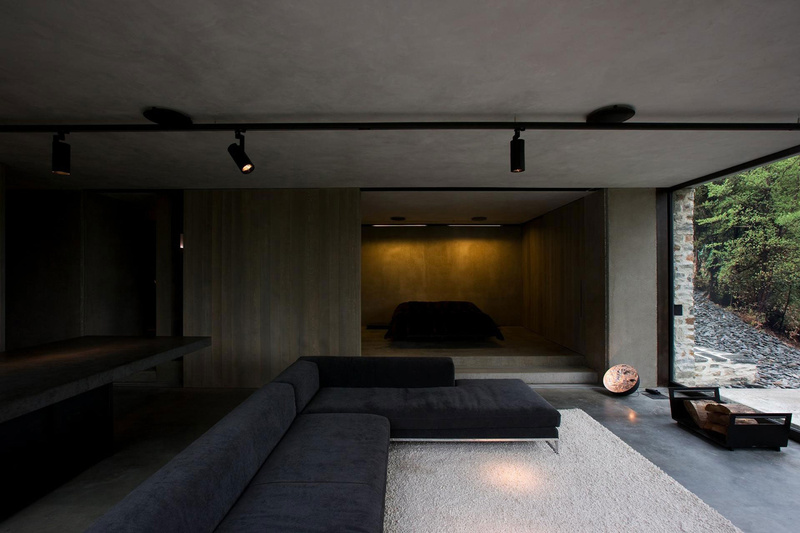 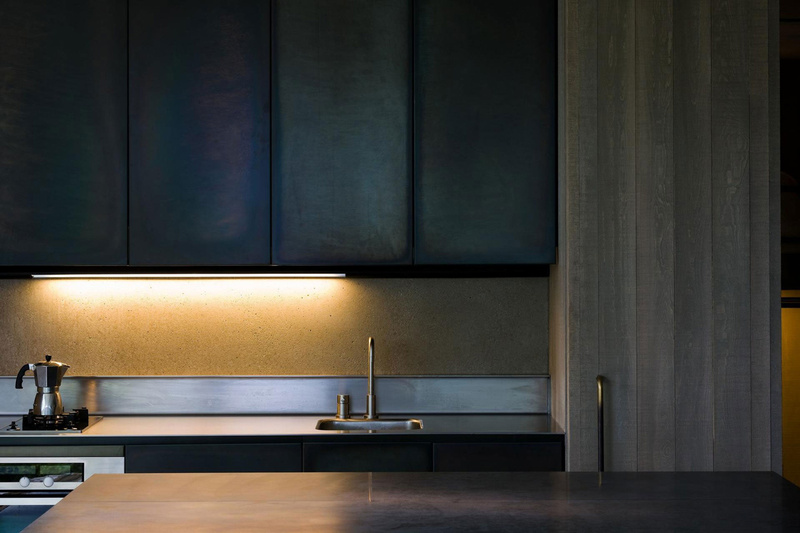 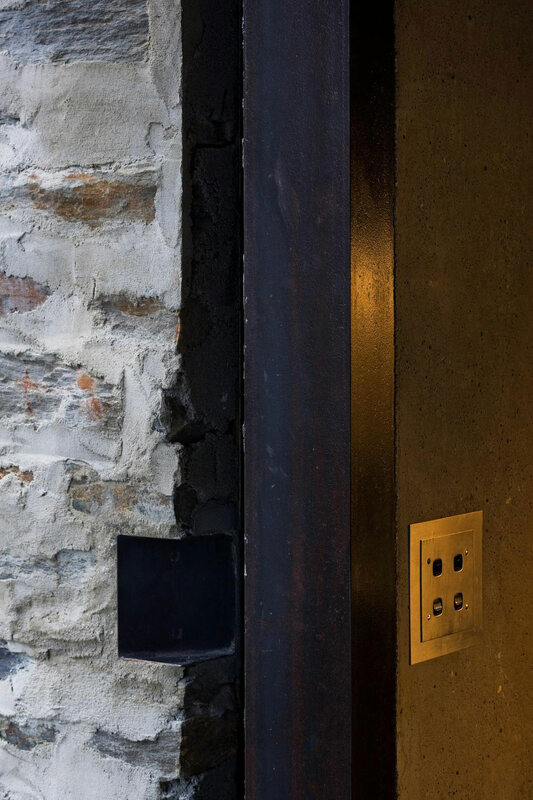 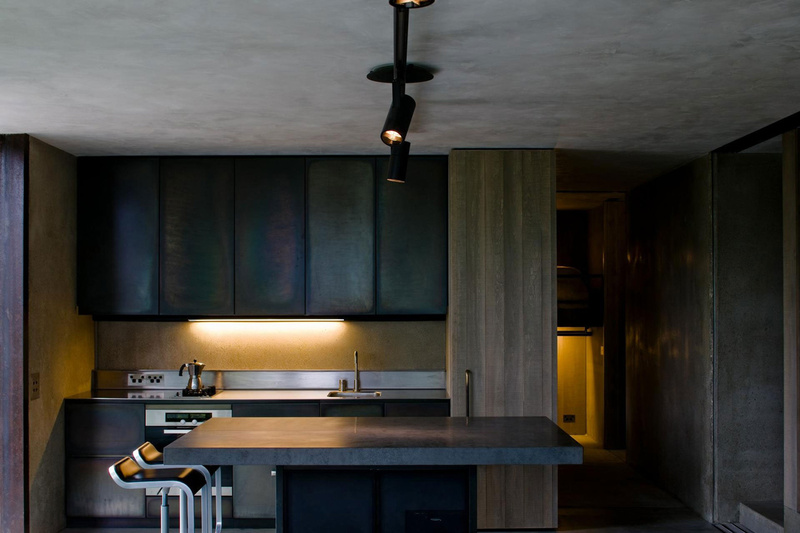 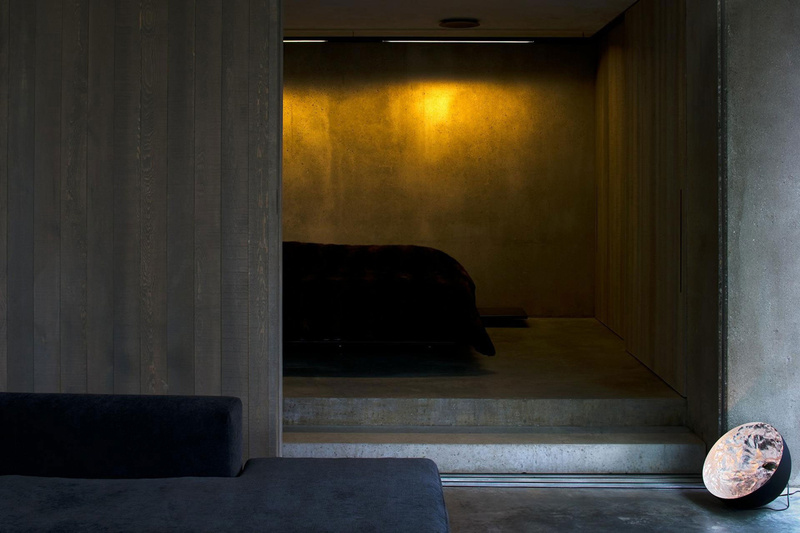 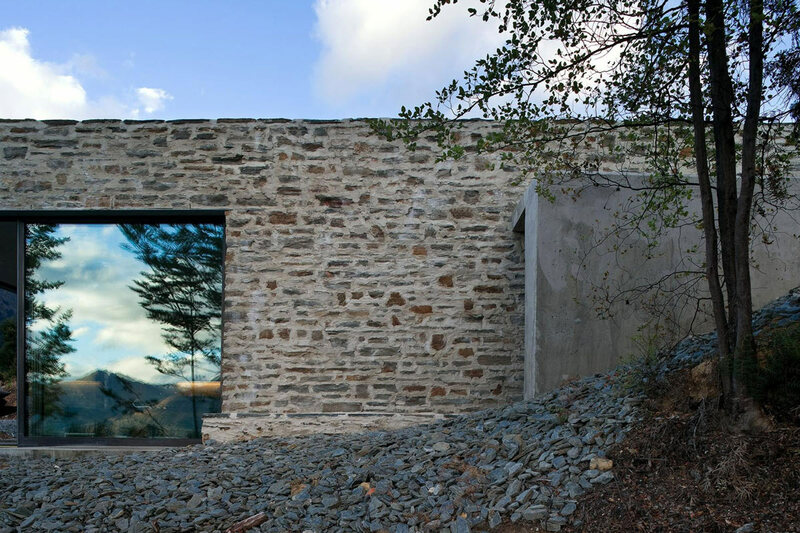 This stone and concrete home has been designed to blend in with the rugged environment, the dark interior mixes rustic and contemporary elements, providing a muscular and comfortable living space. 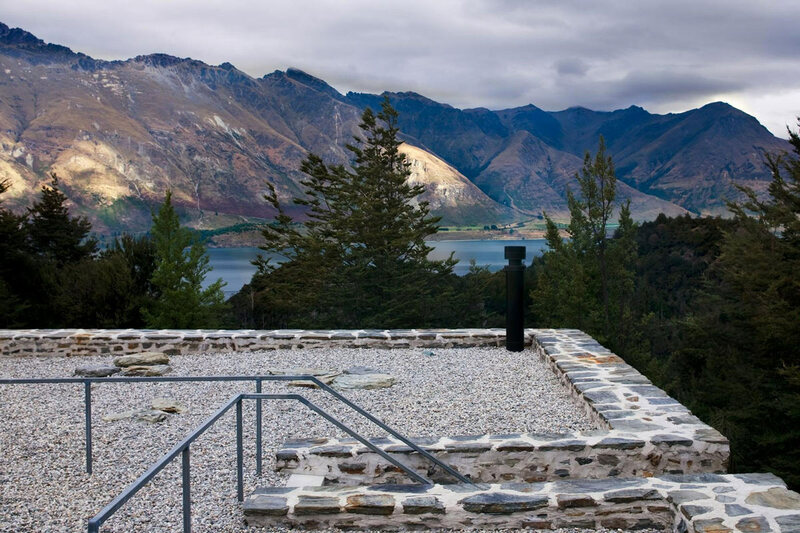 The home enjoys stunning views over Lake Wakatipu and is situated in Closeburn Station, Queenstown, New Zealand.